The nine-part "iEconomy" series, which investigated Asia's technology supply industry with a particular focus on Apple, netted The New York Times a 2013 Pulitzer Prize for explanatory reporting. The annual Pulitzer Prize awards recognize excellence in journalism and the arts, and the staff of the Times was recognized this year for its Apple-centric "iEconomy" series. In all, the publication won four Pulitzers for reports published in 2012. The "iEconomy" stories were recognized for their "penetrating look into business practices by Apple and other technology companies." The Pulitzer Prize Board awarded the Times staff for illustrating the "darker side of a changing global economy for workers and consumers." The series accused Apple of sidestepping taxes, profiled retail employees who believe they are "short on pay," and also detailed the "human costs" of assembly of Apple's devices in China. Critics contended that the series placed too much emphasis on Apple, noting that nearly every technology company relies on cheap components and labor from overseas to build and sell electronics. "Never mind that Apple's competitors all outsource work, sidestep taxes, use patents as weapons and turn an even blinder eye to labor abuses in the Asian supply chain," Philip Elmer-Dewitt of Apple 2.0 wrote in December. "The fact is, Apple  always a draw for readers  made a big, fat, easy target." 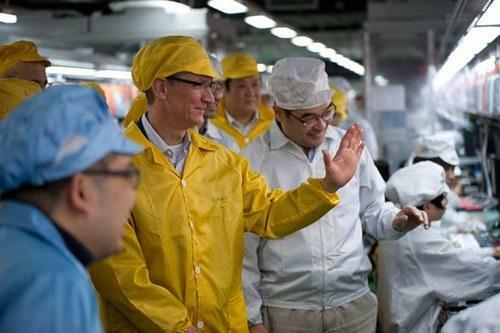 The "iEconomy" series also included anonymous comments from former Apple executives who claimed that the company has known about "labor abuses" in supplier factories for years without requiring that they be addressed. That story prompted Apple Chief Executive Tim Cook to lash out in an e-mail to employees, in which he said "any suggestion that we don't care is patently false and offensive." "We will continue to dig deeper, and we will undoubtedly find more issues," Cook wrote. "What we will not do  and never have done  is stand still or turn a blind eye to problems in our supply chain. On this you have my word." In Wooing of Nissan, a Lesson for Tech Jobs?